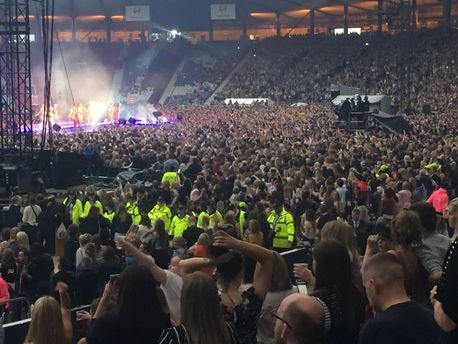 Violence outbreak as Beyonce concert descends into violent scuffles in Glasgow. 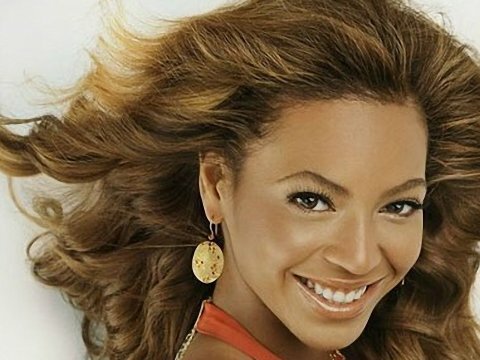 The Lemonade singer ran into more than she bargained for as her concert reportedly turned into violence. A fierce fight started and prompted the show's stewards to create a 'human, barrier' to keep the wild crowd in check. The concert which featured Beyonce, was already under way at Hampden Park in Glasgow, Scotland, when some members of the audience started fighting. Witnesses at the event say that stewards wearing hi-vis jackets had to formed a barrier in the stadium venue as the ruckus started. But the barrier ended up preventing people from getting back to their seats. "Beyonce performance marred by fighting", later adding: "Beyonce fans - Scotland shame. Can't even go to a gig without scrapping." Before the fighting started, the singer asked the excited crowd at Hampden to observe a moment of silence for the Philando Castile shooting in the US. Many Beyonce fans had camped out overnight before the concert.